Wow! And I'm not even a big fan of KK, except when they're having those seasonal doughnuts. So cute. 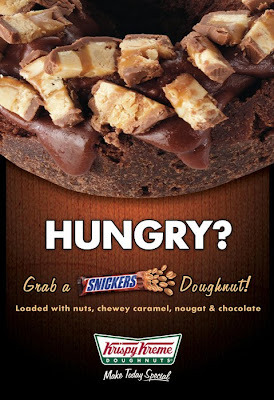 But I want to try this, Snickers y'all!